In the early days of the web (the “caveman days” when we were still rubbing two sticks together to make websites out of html) there was a land rush on high level domain names of one or two-words for really general phrases. 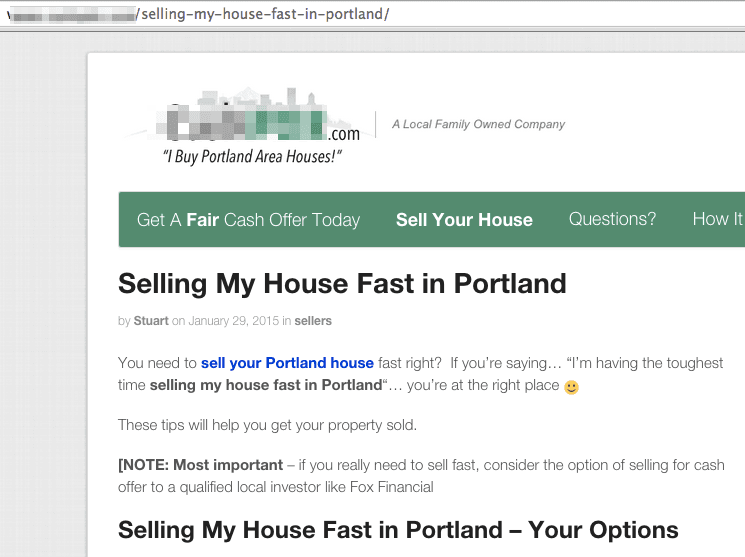 Things like “realestate.com” and “homes.com” as an example. 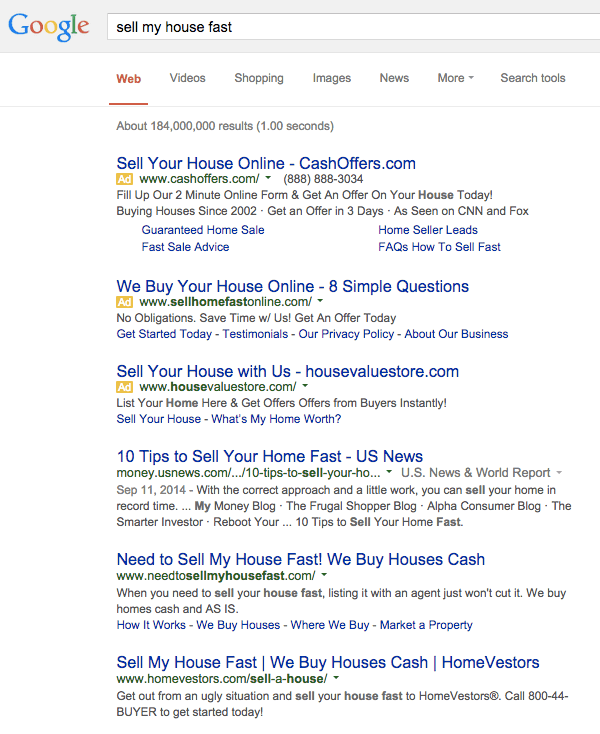 At the time, targeting search terms like “real estate investing” was in high demand. Today, people are a little more sensible (a little more) and they understand that owning a domain name with only one or two words might work if you’re trying to offer generic information to a wide audience but not if you’re trying to market to a specific location-based audience. Targeting a search term like “real estate investing” makes sense for a wider, more generic audience, while targeting a location-based search term makes far more sense for most investors who are buying, renting, and selling properties. Google hasn’t learned how to build in location based results for non-location specific searches that are important to real estate investors. Or a phrase like “we buy houses in Eugene, Oregon“. That’s a location specific search. 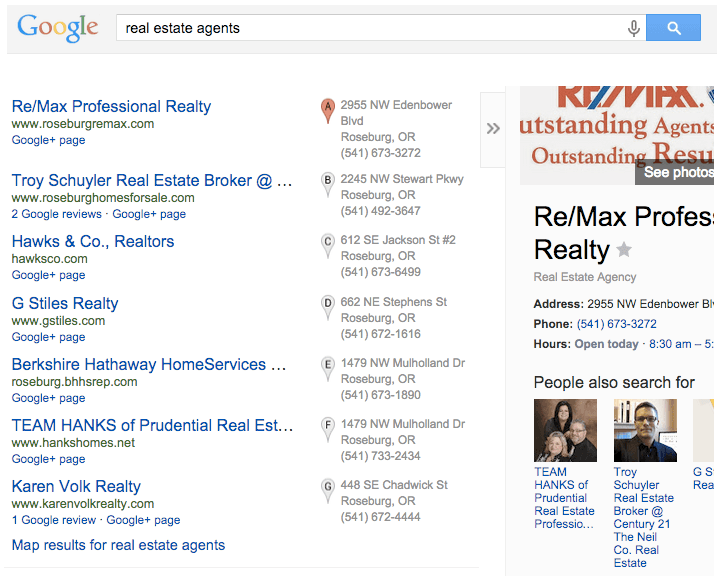 A Location Specific Page… this page ranks very well in the Portland market and is starting to pull in some leads now. We got it there by building out pages for each specific city / market he buys houses in, optimizing them, and letting the SEO gods do their thing. NOTE: We base all of our lead generation decisions on data. 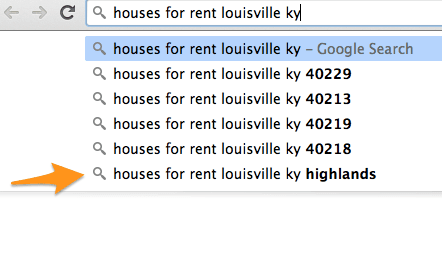 So in some areas, people do search by county… most they don’t. Just get to know the ways that house sellers, buyers, tenants, etc. talk about the area they live in. If they use “Berks County” to refer to their area all of the time… it may be a good idea to setup a page optimized for the county as well. Of course it probably doesn’t make sense to create a site for every single municipality in the area you serve but you should probably focus on the major ones (at least at first). Of course your SEO should not only be built around a location but also needs to be built around the appropriate verb. 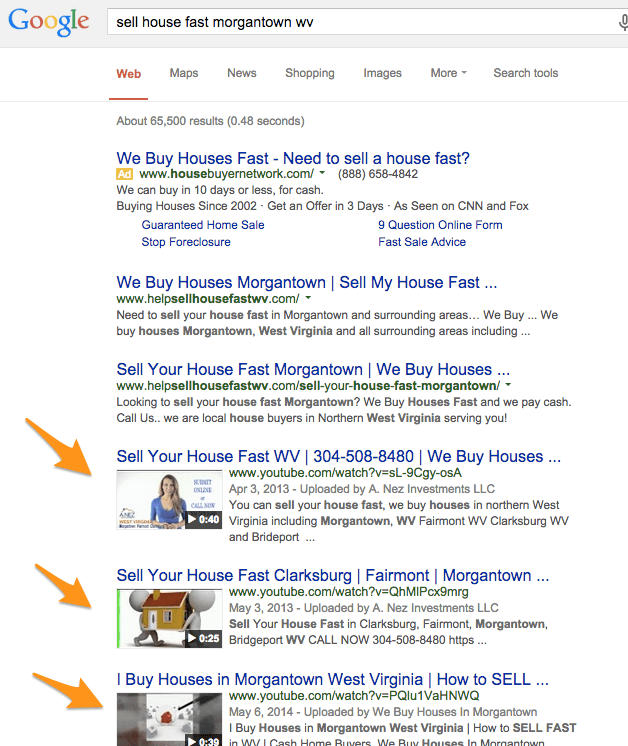 The same investor dominating the top 5 results in Google… This investor is dominating the top 5+ results in Google for this location-based search phrase in his market. He got his site ranked #1 and #2, then turned on the afterburners by optimizing Youtube videos for the same location-based search phrases. Each of these sites is an opportunity to create some location-based SEO. (For example, if you specialize in selling homes in Chicago, you may consider a Twitter handle like @BuyChicagoHomes. 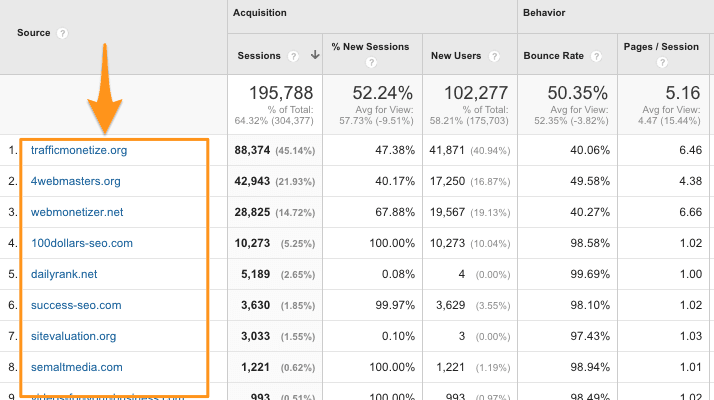 Optimizing your Youtube videos for those local SEO terms your prospects are typing in will help you get in front of the people that matter… the people you can actually do business with and help. People are searching by neighborhood sometimes… In this quick search I did in Google, you’ll notice the suggestions Google gives me. If you work in a highly competitive market, then simply optimizing with location-based SEO alone might not be enough. You may need to become even more granular in your location (drilling down to the neighborhood instead of just the city) or add something else to your Unique Selling Proposition (USP) to help you stand out from the crowd. And in the area you can actually help them. 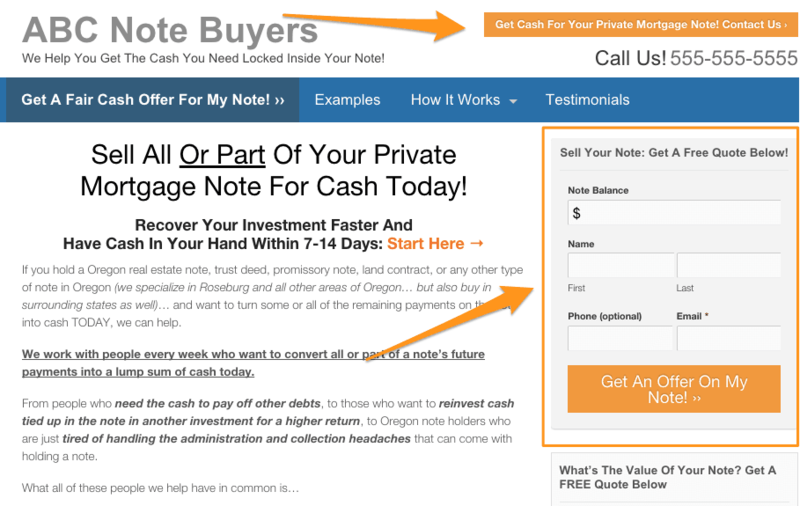 So make sure your website is structured in a way that it will convert a visitor into a lead… and a deal well. As an investor working within today’s web environment, your best strategy to gain the attention of prospective clients in your market is to use location-based SEO.